What is Red Bull energy drink? Red Bull is a carbonated energy drink that has the biggest market share of any energy drink in the world. Red Bull is one of the most recognizable energy drink brands in the world, and it is sold worldwide. 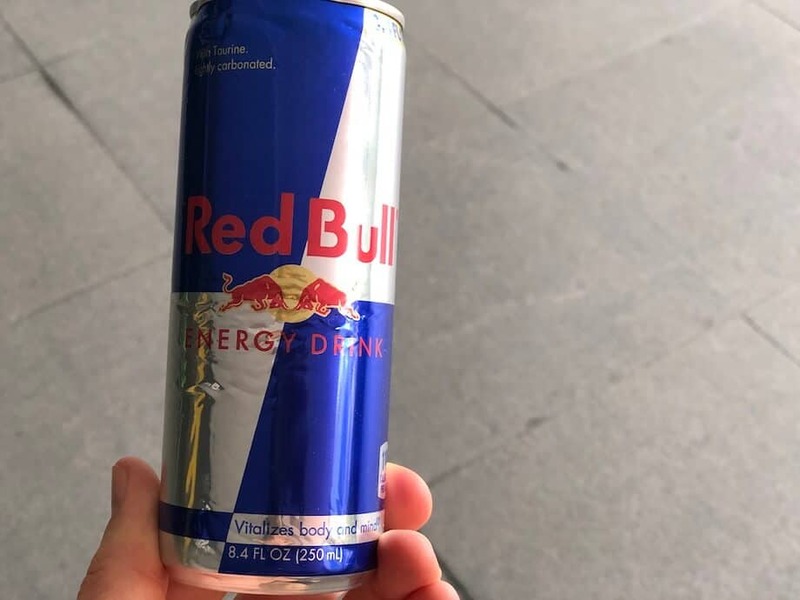 The drink was created by an Austrian businessman, based off an existing energy drink in Thailand, called Krating Daeng, named after a type of bull in Asia. 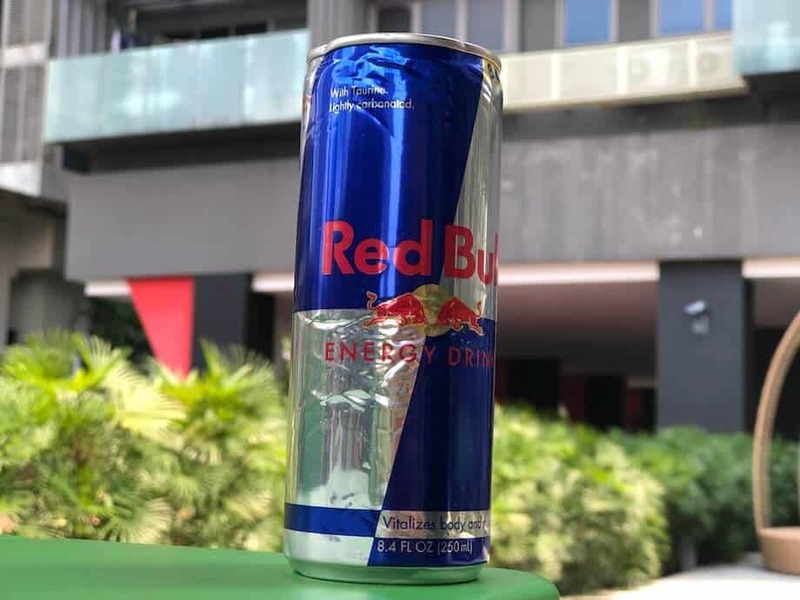 The Red Bull company slogan is 'Red Bull gives you wings', and this has led people to associate Red Bull with things such as extreme sports and activities, but also with daily, everyday use such as in students studying for exams or people taking long drives. Although Red Bull has a good reputation and is not as strong as other energy drinks such as Monster or Bang, it is still advised that this should be taken in moderation, rather than several per day. Red Bull contains 110 calories in total, 80mg of caffeine and 27g of sugar (glucose and sucrose). A can of Red Bull - one of the most popular drinks in the world! Where is Red Bull energy drink made? Red Bull energy drink is made in Austria, a tiny country in Europe. The company that makes it is Red Bull GmBH, which was created in 1987. This company also sponsors extreme sports events such as Red Bull Cliff Diving series, Red Bull Air Race, as well as Formula One racing teams like Red Bull Racing. Interestingly, in Southeast Asia, the original Krating Daeng drink still exists, and it also markets itself as "Red Bull" (although with completely different packaging and flavor), which causes some confusion for some people in that part of the world. It is not a significant source of saturated fat, fat, trans fat, cholesterol, fiber, vitamin A, vitamin C, calcium and iron. Interestingly, Red Bull does not specify exactly what these 'natural and artificial flavors' are, so I'm not quite sure what gives Red Bull its distinctive flavor and taste. Unlike other energy drinks on the market, there do not seem to be any artificial sugars or preservatives in Red Bull, which is really quite a positive thing. Red Bull might not contain as much caffeine or sugar as other, newer energy drinks on the market do, but it still does pack a punch. Red Bull contains a total of 80mg of caffeine per 8.4 fl.oz can. 80mg of caffeine is not actually that much, considering that the daily caffeine limit is 400mg of caffeine. 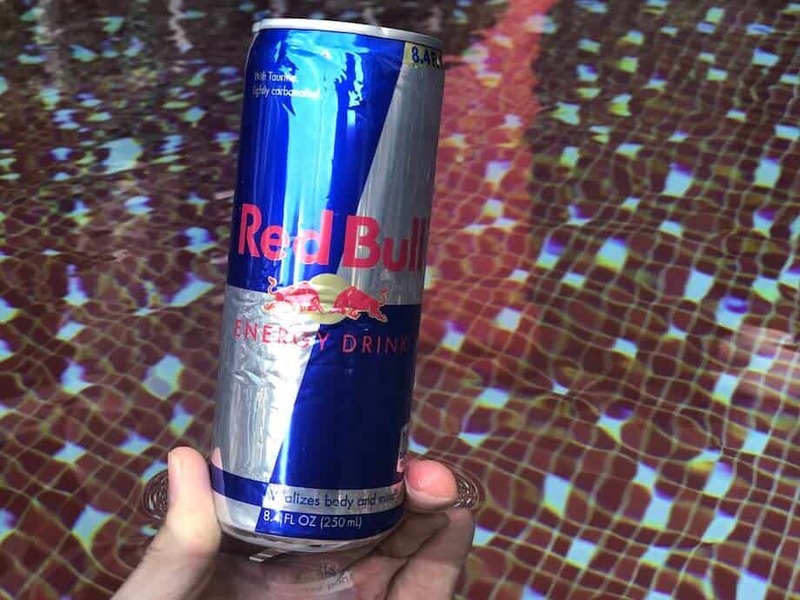 In order to overdose on caffeine while only drinking Red Bull, you would have to drink at least 5 cans of Red Bull- which is a lot of liquid, and isn't really that efficient. I'm certainly not advising you to do that either. If you're drinking Red Bull, make sure that you're aware of how much you're consuming, and also take note of any other caffeinated substances that you're consuming alongside it throughout the day. Those who are pregnant or breastfeeding should not consume this drink, nor should children under the age of 18. If you're sensitive to caffeine, you should also be aware of how much you're drinking as well. If in doubt, check with your doctor. Red Bull contains a total of 27g of sugar. The simple sugars glucose and sucrose are used in Red Bull original, while Red Bull sugar-free uses artificial sweeteners, sucralose and acesulfame potassium. While these simple sugars do not have any explicitly bad effects on the body, if taken in excess over a long period of time, can cause you to develop chronic illnesses like diabetes. As a rule, adult women should only consume 25g of sugar and adult men only 38g of sugar per day. This amount includes both naturally occurring sugar in foods, as well as added sugars in things such as energy drinks. For women, this already exceeds the daily sugar limit, while men are very close to it as well, considering that this is not the only thing that will contain sugar in your daily diet. Red Bull energy drink does not contain any alcohol. However, Red Bull is often mixed with alcohol to mask the bitter taste, and is used as a cocktail mixer as well. If you do decide to mix this energy drink with alcohol - be safe, and drink in moderation. While this isn't exactly bad for you, this mixture can cause you to misjudge your own actions, and thus make it more likely to make bad and potentially dangerous decisions. What are the side effects of Red Bull? A couple of myths have arisen around Red Bull, but most of them aren't actually true. I published a more detailed blog post about the potential side effects of energy drinks in more detail than I could here. It also lists some of the common ingredients used in energy drinks, which you might be interested in. How many Red Bulls can I drink in a day? In the US, a Red Bull can does not give any guidance on how many cans you can safely drink in a day. But, from a strictly caffeine point of view, 5 cans will get you to the 400mg daily limit for caffeine. Another reason NOT to do that is that if you did, you would have consumed around 5 times the amount of sugar that you really should be having in a single day. Drinking 5 cans of Red Bull means drinking 42 fl.oz of Red Bull - can you imagine your liver trying to process something filled with that much sugar and caffeine? Having that much caffeine in your system can also dehydrate you, which might make you want to reach for yet another can - drink some water instead when that happens. Red Bull does have some 'healthier' options, but those also come with their own dangers, such as artificial sugars. All in all, you're probably best off sticking to a maximum of 1-2 cans per day. Unless you have a pre-existing health condition, this isn't likely to cause you any health problems anytime soon. According to a recent study, Red Bull can help boost cognitive function and mood effects in young volunteers. Now, this doesn't mean that drinking Red Bull will make you smarter, but it will give you more energy to think and perform, which will lead to increasingly better performances in students. But of course, this does not negate all the negative side effects that Red Bull might have on your body - make sure that if you are under 18, you don't consume this drink at all, and if you're over 18, consume responsibly. Look at how many types of energy drinks there are out there. Why only drink one of them? How does Red Bull give you energy? The three main ingredients that Red Bull uses in order to give you energy are caffeine, sugar and taurine. 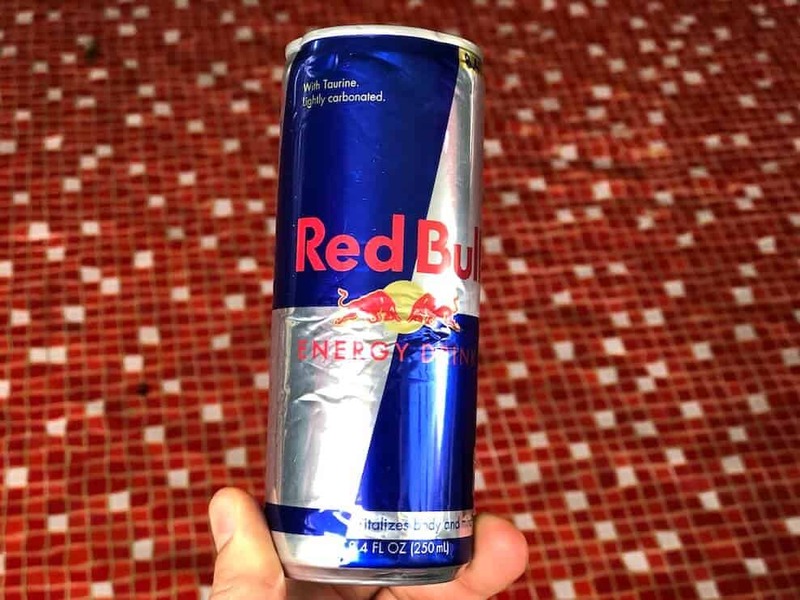 In the US, it is uncertain exactly how much taurine is in a can of Red Bull, but in other parts of the world a Red Bull can claims to contain 1000mg of taurine. When taurine is combined with the other ingredients, sugar and caffeine, they come together to give you a significant boost in cognition and physical energy. Caffeine stimulates the nervous system into thinking that you have a lot of energy, while sugars are broken down by the body to release energy as well, which all comes together to boost your energy levels as a whole. Can drinking Red Bull kill you? If Red Bull was not safe to be on the market, then it would definitely be banned. In fact, Red Bull is on the safer side of most energy drinks, as it contains a (relatively) moderate amount of caffeine, and doesn't contain as much sugar as many energy drinks either. If you're drinking a single can, then it absolutely will not kill you, and neither will drinking it every day over a short period of time. Speaking of banning Red Bull, fun fact, Red Bull was banned in France for a period of time. How dangerous is Red Bull? If taken in excess and over a long period of time, then Red Bull can be potentially dangerous for you. It's not so much the drink itself as the ingredients within it - too much caffeine can cause cardiac arrest, sugar can have long term bad effects on your life and health, so as always, moderation is key when consuming Red Bull, because like anything else, if consumed in excess, then it will be detrimental to your health. Is Red Bull made from bull sperm? For starters, bull sperm has not been proven to have any health effects, so it wouldn't be useful to add it in the first place, and secondly, while the name 'Taurine' may seem like there are bulls involved, it is absolutely not derived from animals. Taurine is a synthetic component synthesized in labs, and it is also a naturally occurring amino acid in the human body. A 12 pack of 8.4 fl.oz Red Bull costs $23.88, which means that a single can costs around $1.99. That's quite cheap for an energy drink, but you also have to consider if it's really giving you your value for money. On that note, a 16 fl.oz can of energy drink can cost around $3, so if Red Bull is half that size but still charging you $2, that means that maybe it's not as great-value as it first appears to be. However, if you're health conscious but still want a great energy boost, then try out REIZE, which doesn't have the sugar that Red Bull has, and is far more affordable, at less than $1 per drink, including shipping. Red Bull might not be the cheapest energy drink out there, but it is the most well known. 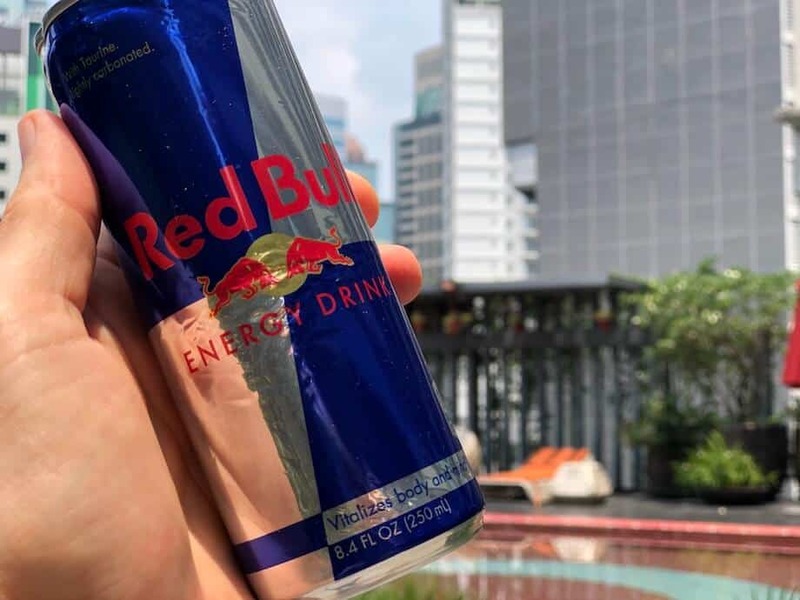 You can get Red Bull energy drink almost anywhere in the world, so that's good news if you travel frequently, but still need your energy fix. It can also be found in physical stores in the US, such as in Walmart, Costco, Target, and gas stations all over the place - it's probably the most widely consumed energy drink, so it shouldn't be too difficult to find. If you're looking to buy in bulk online, Amazon is your best bet, as well as places such as Ebay or Energy Drink Outlet, which have different pack deals depending on your individual needs. 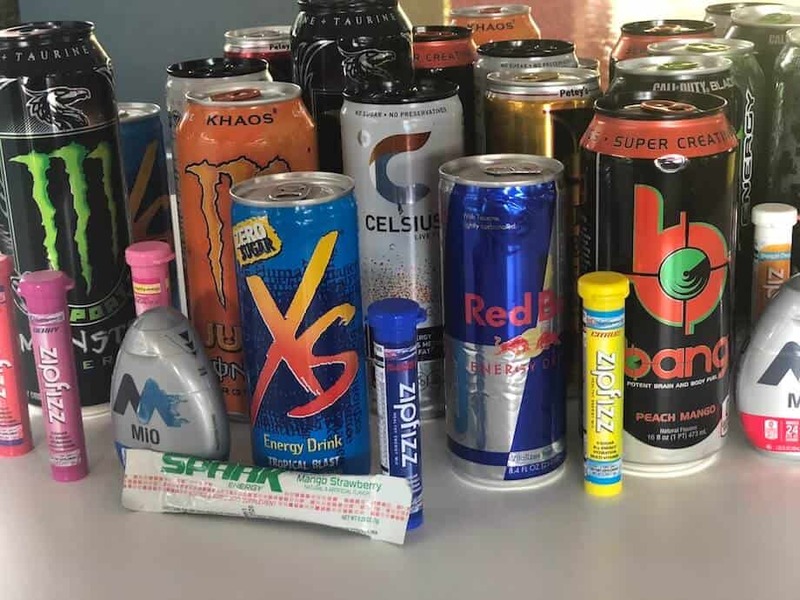 Monster energy drink contains 179mg of caffeine / 16 fl.oz (around 90mg / 8.4 fl.oz), while Red Bull energy drink contains 80mg of caffeine / 8.4 fl.oz. Monster is definitely stronger than Red Bull in terms of caffeine, but that may not necessarily be the best option for you - two Red Bull cans would basically be the equivalent to one Monster on these terms. Monster energy drink contains 54g of sugar / 16 fl.oz can, and Red Bull contains 27g of sugar / 8.4 fl.oz can. Again, Red Bull contains half the amount of sugar that Monster does, but that is also because it has a smaller volume of liquid in a can. On a per fluid ounce comparison, they are almost identical. If you want a comparable boost to Monster but don't like its taste, drinking two Red Bull cans could be the solution. Monster sure contains a lot of sugar, if you're interested in the answer to the question of whether or not Monster is bad for you, you might like to take a look at this additional reading. It is $37.95 for a 12 can pack of Monster energy drink on Amazon, which means that it's around $3.20 for a can, excluding shipping. For Red Bull, it's about $1.99 per can, without shipping. Monster seems to be better value for money than Red Bull, because it's double the size of Red Bull, but only costs a single dollar more. However, Monster might not be the best option for those who are looking to cut down on sugar, so maybe try Red Bull instead. Although, as just mentioned, Red Bull only contains less sugar than Monster because the can is smaller. Per fluid ounce, Red Bull and Monster contain around the same amount of sugar. Look at the size of Red Bull compared to all the other energy drinks - isn't it tiny? To read more on the topic of Red Bull Vs Monster, take a look at my other article which goes into a lot more detail. Red Bull energy drink contains 80mg of caffeine / 8.4 fl.oz, and Bang has nearly four times that at 300mg of caffeine 16 fl.oz. Looking at the caffeine content, it seems that Bang would be a lot more effective than Red Bull, but this is only true for those who find caffeine to be the most effective way to get an energy boost. For me, I find that pure caffeine isn't all that effective, and it's the combination of ingredients in energy drinks that contribute to the boost that I experience. Red Bull contains 27g of sugar / 8.4 fl.oz can, but Bang energy drink has 0g sugar. Although Bang claims to not have any sugar, it actually uses a lot of artificial sweeteners, while Red Bull uses the simple sugars glucose and sucrose to give its drinks a sweet taste. I took a closer look at whether Bang is good for you or not in this article. For Red Bull, it's about $1.99 per can, without considering shipping, and Bang costs around the same, at $2.17 per can. With this, it might seem that Bang is more worth it, but it does depend a lot on your individual reactions to energy drinks. Do you react better to caffeine, or a combination of caffeine and sugar? Red Bull energy drink contains 80mg of caffeine / 8.4 fl.oz, while REIZE only has 50mg of caffeine. Even though REIZE has less caffeine than Red Bull, it makes up for it by having 1000mg of taurine, a naturally occurring amino acid that has been known to produce good, clean energy, without any unpleasant side-effects. REIZE is also jam-packed full of vitamins and also contains ginseng, which Red Bull doesn't contain. Red Bull contains 27g of sugar / 8.4 fl.oz can, while REIZE is completely sugar-free. REIZE does contain artificial sweeteners, but these have been extensively tested - acesulfame potassium and aspartame, the same ingredients used to sweeten Coke Zero and many other common foods and drinks. Red Bull Sugarfree also uses these exact same ingredients, so perhaps that version of Red Bull is more similar to REIZE than the original, sugar-filled Red Bull. For Red Bull, it's about $1.99 per can, without considering shipping. REIZE is a lot more affordable, at only around $1 per sachet, which makes an 8.4 fl.oz drink. In addition to that, REIZE is fully customizable, and you can control how strong or weak each drink is. If you're looking for efficiency and ease to carry around, REIZE is a great choice because it comes in small, light and easy to transport packets, and you can even make it on the go. REIZE is also a lot less sweet, so that will be great for people on diets or wary about consuming too much sugar or too many calories. I personally rate Red Bull an 8/10 - which is probably one of the highest ratings that I've ever given an energy drink, to be honest! You've probably seen the Red Bull can before, and it's not particularly difficult to find in stores. I liked the minimalist blue and silver color scheme, and the red bull silhouette is a classic design, and I found it really cool that the snap-top cutout had a little bull on it too. For an energy drink that is really supposed to boost your energy, I thought the colors were actually quite calming. It was also very carbonated when I opened it, and was a neutral amber color. Sniffing it didn't make it any clearer as to what flavor it was, unfortunately, so I resolved to embrace the mystery. I'm sure most students already drink Red Bull to stay awake and study, or to boost themselves before their exams - I've definitely done that in the past, so the taste was quite familiar to me. The taste of Red Bull was sharp and clear, quite sweet, but not a crazy amount of sweetness was present. It was definitely quite fizzy - I had to stop between sips to catch my breath and hiccup a couple of times. The aftertaste was quite sour, and made me really cringe after the first sip, but it was not that bad, and I could keep drinking it as usual. Still, it was the classic, great taste that I remembered. Definitely quite effective - the combination of caffeine and sugar never fails to elicit a response, but the sugar crash afterwards was not so welcome. However, because there wasn't really that much sugar in it, I don't think that the crash was as bad as some of the others I've experienced with other energy drinks. But that also means that the energy, while efficient, may not have been as big as the other energy drinks with greater quantities of caffeine and sugar. If you want to check out even more reviews of Red Bull so that you can compare and contrast, have a look at these. This website gives you an overview of its effects and evaluating its effectiveness, while this one gives a review of a unique flavor. There are also plenty of reviews uploaded to Youtube if you're interested in taking a look. Overall, Red Bull is one of the champions of the industry for a reason. I would give this drink an 8/10. The taste is great, and the energy effect does what it's supposed to do, and I think that Red Bull does hold itself to a high standard, which all other energy drinks should aspire to follow. If you prefer a cola flavor, you could try Red Bull's own Cola offering. It contains less caffeine than regular Red Bull, but may be worth considering. You could also take a look at Vivarin caffeine pills if you are looking for something that's quick and easy to take. At 200mg of caffeine, it has a huge amount of caffeine compared to the amount that Red Bull has, but without the same great, energizing taste. Of course, there are also tons of other caffeinated products out there that you could turn to for your energy needs. Something like Make It Mio comes to mind, which is supposed to flavor your water and give you an energy boost at the same time, for those who are a bit more health-conscious. With 50mg, REIZE contains much less caffeine than Red Bull, but it does contain plenty of other great energy-boosting ingredients that are healthy for you, such as 1000mg of taurine. REIZE ships right to your door for around $1 per drink, cheaper than most of the energy drinks on the market - including Red Bull. Give REIZE a try today and you might just find that you prefer it to Red Bull.